Oh this is so gorgeous. I just got to go to the Finger Lakes Fiber Festival this weekend and look what I got ! 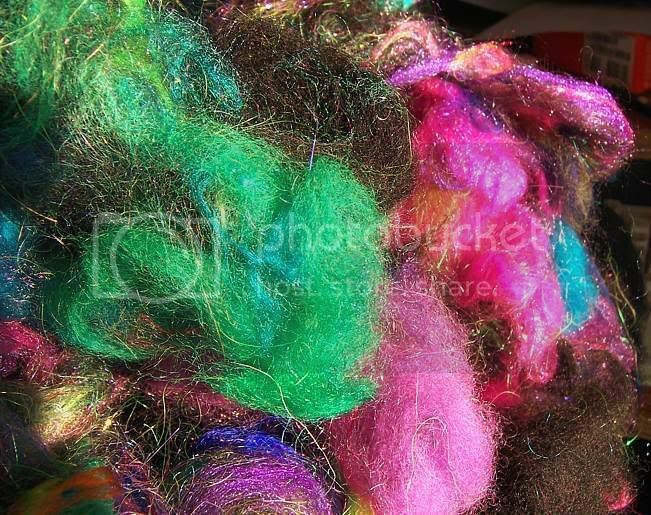 For felting- I have never felted on silk before so this oughta be interesting. 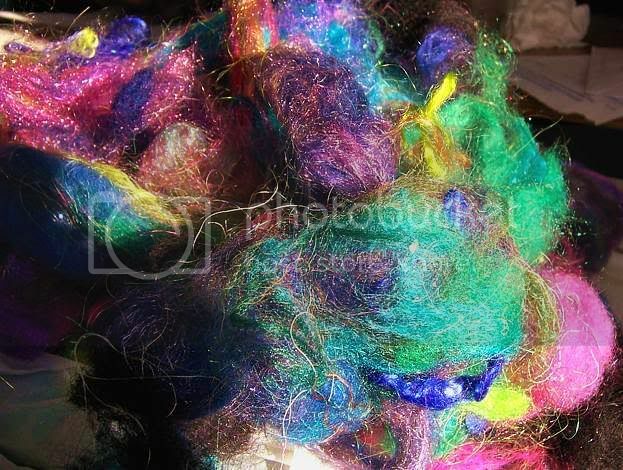 This is a silk/wool mix roving to use on the silk scarf. PARTY IN A BAG- I can hardly wait to spin this up- what should I make with it? Ahhh..... so pretty. I can't wait to see it on Fiber Friday! 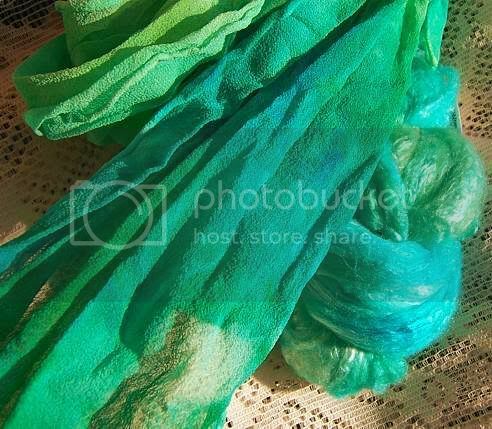 Oh man, that's aqua silk in just gorgeous! I could roll all over that. And it matches that scarf perfectly! Party in a Bag just looks like good old-fashioned fun to me. I can't wait to see what you come up with! Some assistance with my Kromski sonata not uptaking fiber? Can you tell me about my antique spinning wheel?